Harden's Guides have been compiling reviews of the best restaurants in Hackney since 1998. 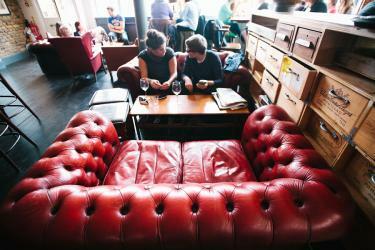 Hardens guides have spent 25 years compiling reviews of the best Hackney restaurants. 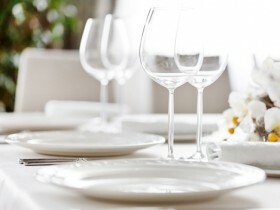 On Hardens.com you'll find details and reviews of 77 restaurants in Hackney and our unique survey based approach to rating and reviewing Hackney restaurants gives you the best insight into the top restaurants in every area and of every type of cuisine. 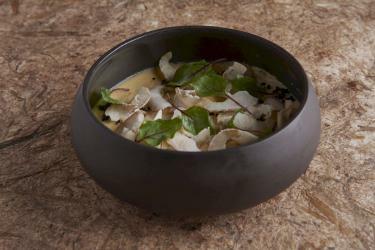 “A new star in London’s dining scene!” – Adam Handling’s “outstanding” year-old Covent Garden branch is proving just as big a smash hit as his E1 original (which, in mid 2018, moved to a new, 60-cover site on the corner of Hoxton Square, together with a bar and coffee shop). His “clever and delicious” British tapas feature “brilliant taste combinations” yet “without being prissy or overly expensive”; while the “chilled” atmosphere is “that so hard-to-achieve balance of professionalism with perfect relaxation and excitement”. Service, too, gets a big thumbs up: “top class and efficient but not obtrusive, and so friendly”. See also Belmond Cadogan Hotel. “Breathtakingly inventive and excellently executed” cooking (“best described as modern British with a substantial Asian influence”) has won renown out of all proportion to the “extremely small” size of this Hackney two-year-old, which has a better claim to culinary fame than most East End ventures. “How they keep up such high standards with a weekly changing tasting menu is astonishing” (“although we have eaten there more than six times in the last couple of years, I cannot think of any single dish that has ever been repeated”). “And it still feels like a cosy neighbourhood restaurant”, although on the downside “tables are very small and crammed too close together”. “An utterly brilliant tapas café, where you perch on stools, in the window or at the bar; staff are relaxed and chatty, and the food is expertly cooked, delicious and really good value”. That’s the low-down on Moro’s first spin off, a few doors down from the mothership, on Exmouth Market. Since last year it has a “more comfortable Hackney Road version” (near Columbia Road flower market). “Lovely Mediterranean-inspired dishes here too, plus a great spacious setting”, “very buzzy counter-style dining” and “you can book any time”. Top Menu Tips – “yummy aubergine fritters” (“I don’t know how they get them that crispy and tasty”); and a “scrumptious North African/Mediterranean twist on brunch”. “Inventive dishes that you won’t find in other tapas places” distinguish this “excellent” (if “pricey”) Newington Green Spaniard, with Galician specialities. “Just an East End boozer it’s not” – this converted public house and dining rooms a short walk from Columbia Road has “an airy, modern and confident first-floor dining room, with food to make you smile and make you think”. “It’s nothing over-fancy, nothing over-priced” – “taking dishes beyond what one would describe as pub grub”, although there’s “no better place for a relaxed Sunday lunch”. Straightforward but superior deli/café on a Highbury street corner that’s “fantastic any time of the day” – for the most part brunches, coffee and cakes are the orders of the day, but there’s more substantial fare served on weekend evenings. This landmark east London gastropub near Victoria Park is an “easy destination for a great night out or a weekend treat... always fun and welcoming”. 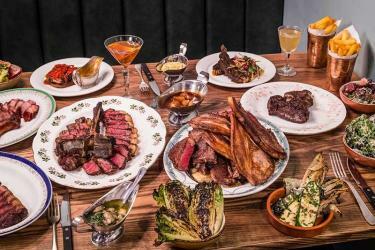 The menu “mixes conventional with more adventurous options”. In any other ’hood, this engaging Clapton bottle shop (focused on funky ‘natural’ vintages) with communal central table – and serving some eclectic but interesting small dishes – would be a handy, loveable find. Sitting as it does at the very epicentre of the East End’s fooderati community, it is front page news, as exemplified by its being website Eater’s bizarre choice as ‘London Restaurant of the Year 2017’. In September 2018 it took on a new chef for at least a 6-month residency: Anna Tobias. These are the top restaurants in Hackney based on reviews by Hardens users.